Gone are the days when shoppers would look for a run-of-the-mill pan and only have the opportunity to compare dreary options. The modern chef demands more. Not just something to cook with, but something that will last, look beautiful and stylish for years to come. 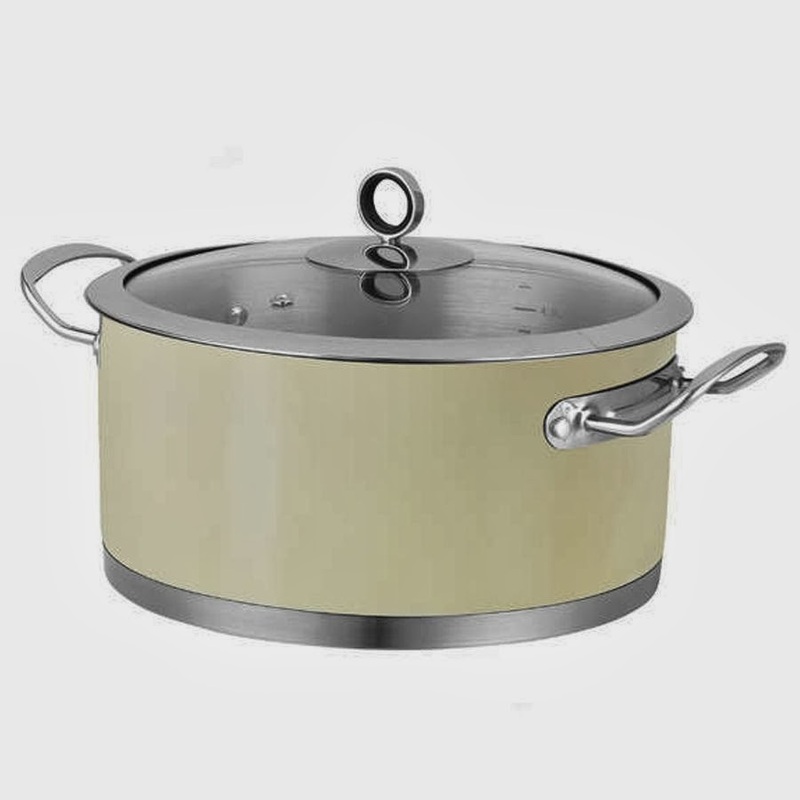 Here at TJ Hughes we have carefully selected top quality cookware that’s in keeping with your lifestyle and will inject a bit of style into your life. Exciting news for the novice chef! We present lightweight aluminium that is coated in long lasting non-stick ceramic - a pan that heats up fast for even cooking! It makes cooking look easy and is also easy to maintain. 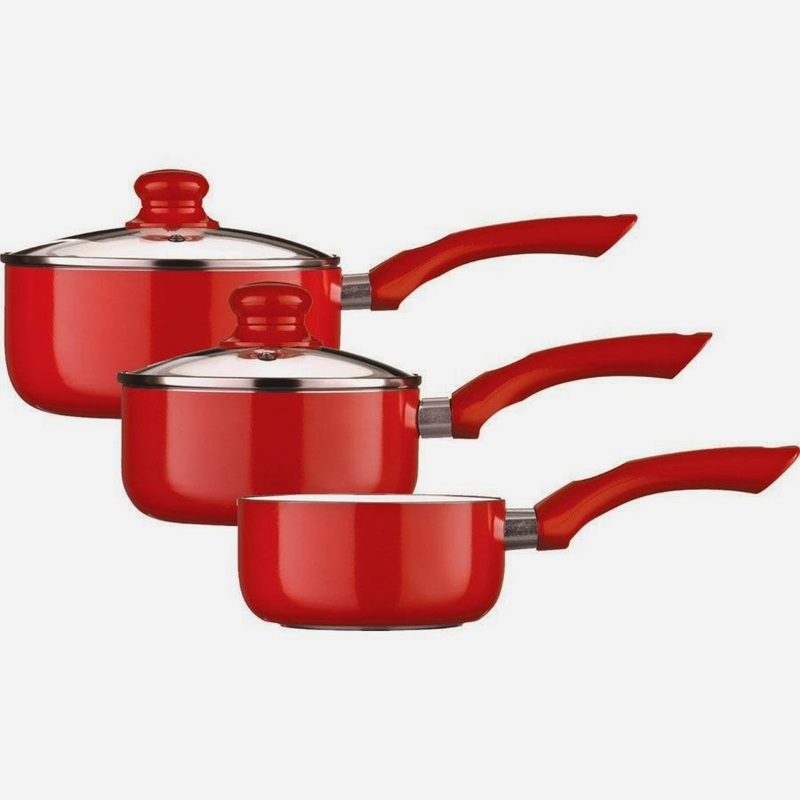 Add a splash of colour to your kitchen with our snazzy red selection, including the Ceramic 24cm Fry Pan for £4.99 and the Kitchen Hero Three Piece Ceramic Coated Non-Stick Pan Set for £19.99. Have the style of a restaurant for less than the price of a takeaway! For those individuals who have mastered baking, the Tala range of bakeware adds simplicity and class while being utterly practical and affordable. For the rest of us who haven’t quite mastered this art, we recommend doubling the effort. One cake for the party and one to test beforehand to check it’s turned out alright. That’s not an excuse. Honest. And for the master of their own ship is the Morphy Richards Accent Range. This expansive range of contemporary equipment is for the designer kitchen and has quality guarantee that comes from this excellent brand. The beauty of this collection is that you can pick and choose from a wide range of kitchen tools and accessories to suit any lifestyle and kitchen need - all beautifully designed for an attractive cohesive kitchen. So get cooking in style this February with our elegant range of cookware to inspire any chef and adorn any kitchen.